The climate of Kamchatka is diverse and unstable weather, which is due to the geographical location, the influence of the surrounding seas and the Pacific, the movement of air masses, and relief. The climate is anomalously colder and windy on low-lying coasts (especially on the western coast) than in the center, in the Kamchatka River valley, fenced off by mountain ranges from prevailing winds. The coast and the southern part of the peninsula is characterized by a marine climate, in the central part and in the north dominant continental. In the eastern regions, during one day, the summer heat can be replaced by a cold drizzling rain, reminiscent of deep autumn, or a piercing wind, and warmth may be replaced by them again. The winter on the peninsula is very different in its different parts: snowy and mild on the coast, frosty in the central and remote part of the coast, severe and windy in the north. Snow falls at the end of September in the north, and at the end of October – in the south. Summer is relatively cool on the coast, and quite hot in the central part. 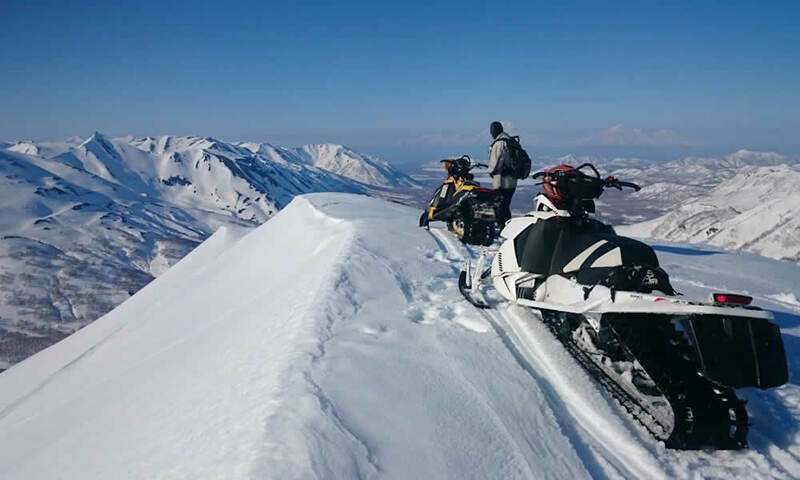 The absolute maximum temperature in Kamchatka is + 34 ° C, the absolute minimum is from -24-26 ° C in the islands to -49-60 ° C in the North and in Central Kamchatka. The number of days with a temperature above 20 ° C in summer: on the coast – 1-6, in the valley of the river of Kamchatka – 35-55. 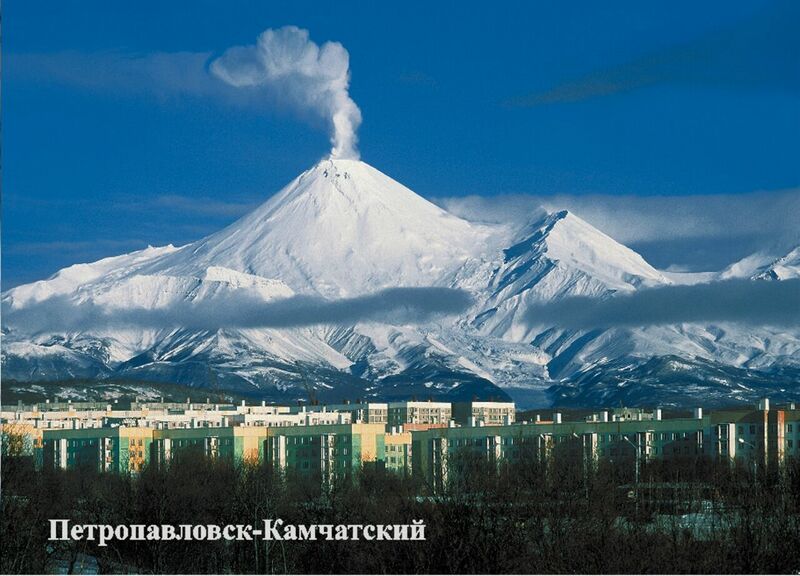 The maximum amount of precipitation is up to 2600 mm per year (the south-eastern coast of Kamchatka). The maximum wind speed in winter is up to 40 m / sec (on the coast of Kamchatka). The summer in Kamchatka is rainy. In winter, weather conditions are very variable, which is expressed, for example, in sudden snowfalls, often accompanied by strong winds. Sometimes for one day may drop 100% or more of the monthly rate of snow. In general, the amount of precipitation in the cold period is greater in the whole territory of the region than in the warm season. And only on the west coast, on the contrary – in the warm period of precipitation falls more than in the cold. Cyclonic activity has a great influence on the formation of the climate of Kamchatka. Cyclones are advancing across the southeast coast, where they carry the warm and humid air of the Japanese and Yellow Seas, causing prolonged snowfalls, snowstorms and storm winds. Simultaneously, the temperature rises by 6-10 ° C.
In the Central Kamchatka lowland, protected from the influence of cyclones by mountain ranges, the frosty, low-clouded weather of the continental type predominates. Within the Kamchatka Territory, precipitation falls more than in any other region of the country, and the seasonally uneven. The greatest amount of precipitation is recorded on the eastern and windward slopes of the mountains of the southern peninsula (up to 2500 mm per year). In the Central Kamchatka lowland, protected from cyclones by the Median and Eastern ranges, it averages 400 mm watt per year. On the north-eastern coast, the amount of precipitation increases again to 500-600 mm per year. The least amount of precipitation falls in the extreme north-west of the region – up to 300 mm per year.